Classroom flexibility is a 21st-century necessity. 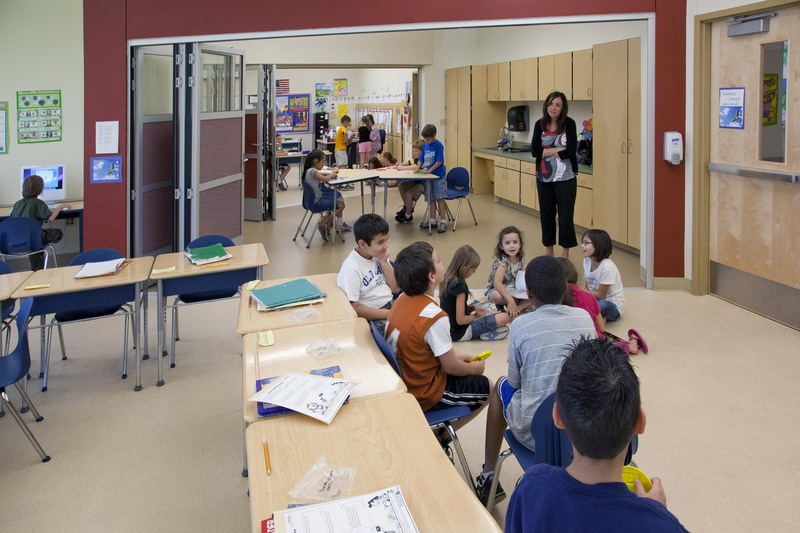 NanaWall Systems provides a range of effective solutions for the design of new classroom space, adding flexibility while increasing interior visibility, safety and security. NanaWall operable glass walls also synchronize with the problem-based curriculum revolution taking place in today’s schools, while also diminish costs for added facilities and classrooms. The architecture team at SHW Group employed NanaWall systems for the new elementary schools built in the Burelson, Texas ,school district. 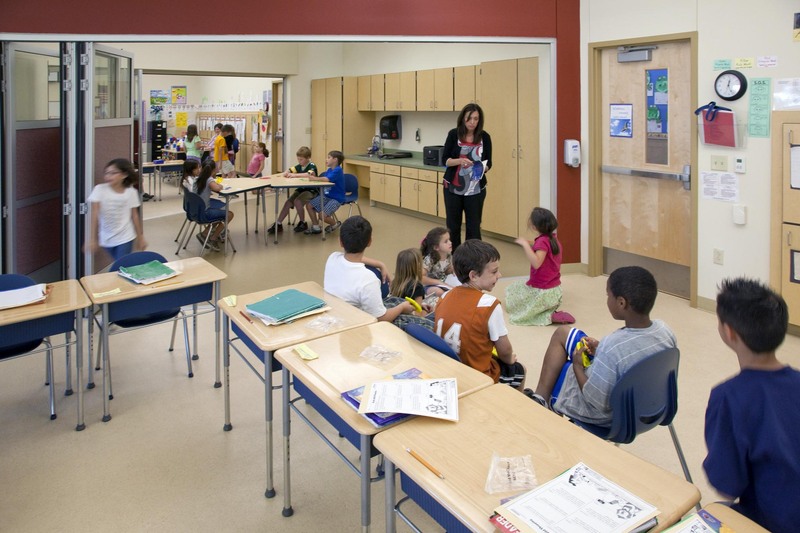 Simply by unfolding the durable, acoustically performing SL45 glass walls, two classrooms share a multipurpose room. 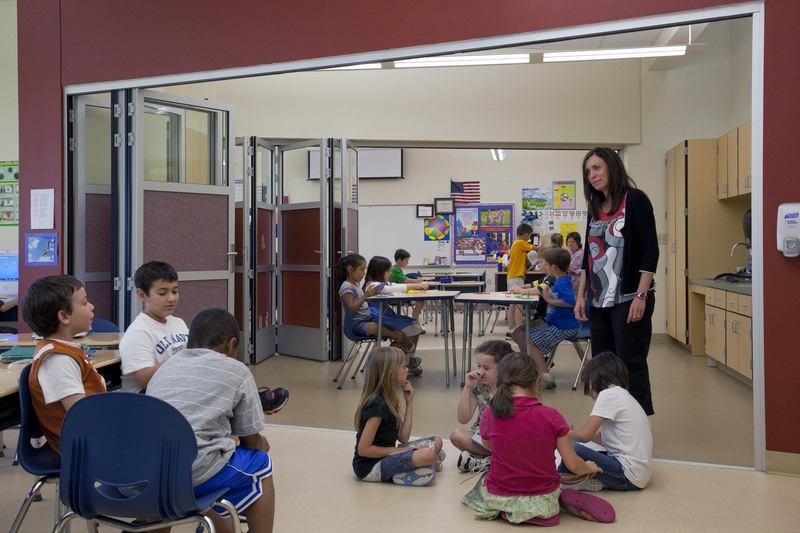 In the past, multipurpose rooms were often designed as separate classrooms – and sometimes located in a different part of school or with a “garage door” type of overhead partition. The SHW Group designed the Burleson flex rooms to mesh with teaching methods that promote active participation, self-direction, and interest group clusters. Once the common wall is removed between classrooms, teachers and students have access to flex spaces. To do this, SHW Group used a V shape to cuts into the traditional rectangular space of the existing rooms. By making three rooms out of the space normally utilized for two rooms, SHW decreased the costs. 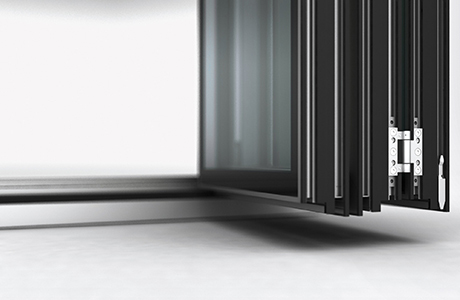 The firm favors the NanaWall products over other options and brands. “It is a very elegant and simple system that is safe and easy for teachers and students to use,” says Judd. For the Burleson schools, the 15-foot walls have horizontal mullions dividing the clear glass portions from the opaque lower panels. The NanaWall SL45 systems are utilized in eight schools within the district, creating a smaller building footprint for each individual school and saving on building operations costs. Each wall has a swing door option for traditional classroom access. The NanaWalls have excellent sound attenuation but also maximum transparency, so teachers can use the flexible space for group work, exam makeup, discipline intervention, or independent study. Moreover, the three classrooms can become one space, which allows for unlimited interactions and creative lessons. The resulting flexible spaces allow two teachers or groups of students to collaborate on different projects or lessons. 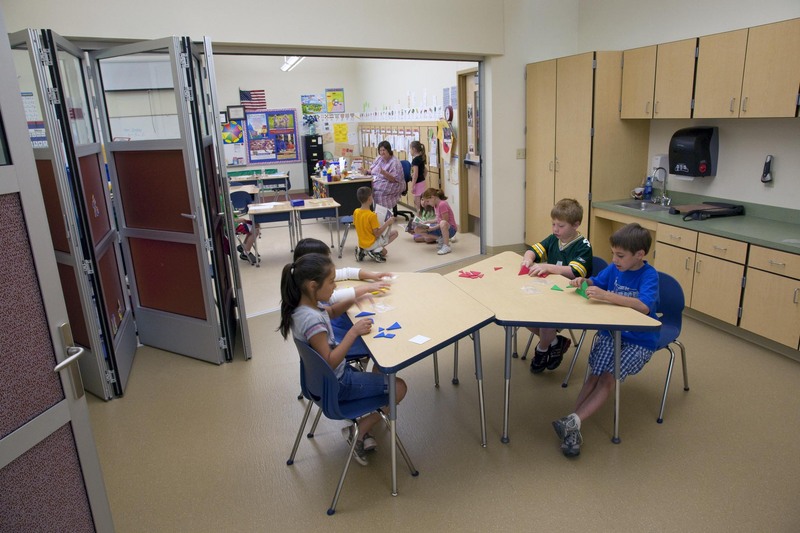 Because NanaWall has dozens of different options in terms of folding, sliding, swing, frame, hardware and finish, the architects had maximum flexibility in designing the classroom space. In particular, the SL45, a top-hung system, provides a seamless way to integrate two to three spaces, an essential tool for special-needs students.